Entrepreneurs with more education and experience typically use less personal debt. Starting a new business can be satisfying but stressful. Among other tasks, entrepreneurs must raise enough funds for their ventures. But it turns out the type of funding matters, not just the amount. Start-ups funded via business loans tend to outperform those using personal loans or having no loans at all. Relatively few new businesses rely only on equity financing from their owners. A survey of start-ups in the United States found three-quarters also had some kind of debt. About 55 per cent of start-ups used personal debt in the owner’s name. Examples include personal bank loans and home equity lines of credit. Some 44 per cent used business debt, like bank loans made directly to the firms. And 24 per cent used trade credit from their suppliers. For example, they would wait 30 days to pay suppliers’ invoices. 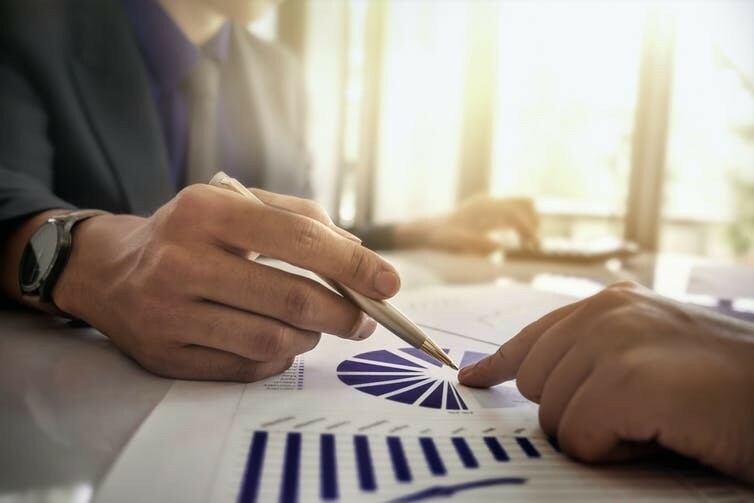 These financing details are noteworthy because recent research shows a connection between debt use and venture success. Compared to equity-only firms, start-ups initially using business loans have higher average revenues and survival rates three years later. By contrast, firms using personal loans tend to have lower revenues and no survival advantage. Using trade credit seems to have no effect either way. The study didn’t explore why business debt is more helpful than personal debt. But there are several likely reasons. One possible explanation relates to differences in the respective lending procedures. These may indirectly distinguish between more promising ventures and less promising ones. Banks naturally want their loans repaid. So when considering business loan applications, they carefully review start-ups’ business plans and prospects. By comparison, for personal loans, banks focus on the owners’ credit-worthiness. They may not even know the start-ups exist. Consequently, stronger start-ups are more likely to qualify for business loans. Knowing this, their owners are more likely to apply. Owners of less promising start-ups instead tend to request and receive personal loans. Another possible influence arises after banks issue the loans. For business loans, banks tend to monitor firm performance closely to increase repayment odds. They could alert owners if any warning signs appear. Banks also can connect their start-up clients with experts like accountants and lawyers. The monitoring relationship may thereby help start-ups perform better. Furthermore, business loans let start-ups build credit ratings and so obtain subsequent loans for future growth. And firms with longer banking relationships can negotiate better loan terms. On the equity side, previous research indicates business loans help firms raise venture capital. They also receive higher valuations at initial public offerings of their shares when underwritten by their banks. Unfortunately, some firms needlessly miss out on these benefits. Another study examined borrowing decisions by small private firms. Some didn’t want loans, some successfully got them, and some applied but were declined. Interestingly, one quarter of the firms needing loans didn’t even apply. They were too discouraged by the process. They thought banks would turn them down, so they didn’t try. But further analysis suggested thing weren’t always that bad. A third of the discouraged firms likely would have qualified for loans had they applied. These results have implications for entrepreneurs. First, even if they don’t need loans to survive, they might benefit from them. The extra cash could help their firms grow faster. If they do decide to borrow, then they shouldn’t stick with easier-to-get personal loans and maxed-out credit cards. They should strive to obtain business loans, even if those take more effort. Second, entrepreneurs declined for business loans should view that as feedback. It’s a sign their business proposals, whatever their merits, might need improving. Some entrepreneurs may simply need to refine an overly vague business plan. Others might want to redesign their products or find alternative markets. Such enhancements might not only get them loans, they might also boost their odds of business success. The results also suggest ways in which education and advice could help start-ups. Agencies like Innovate Niagara and Toronto’s MaRS Discovery District could inform entrepreneurs of business loans’ benefits. They could also guide them through the applications. This could help new entrepreneurs behave like more experienced ones. Entrepreneurs with more education and experience typically use more debt overall, but less personal debt. Policy makers should also help ensure such loans are available. This could involve adjustments to loan-related regulations and taxation. But it wouldn’t include government lending money itself, or via development agencies providing easy-to-qualify-for loans. If business loans’ benefits flow from banks’ selection and monitoring processes, then bypassing those processes would be counterproductive. That point might particularly appeal to free-market politicians. They can help businesses without giving them handouts. Future research might explore the impact of business loans from non-bank lenders. For example, credit unions are traditionally well-connected with their members and communities. They might be even better than banks at start-up selection and monitoring. Conversely, some fintech firms may offer business loans by relatively hands-off methods like crowd-funding. But those may not produce the same side benefits as old-fashioned bank loans. Do global banks need restructuring?